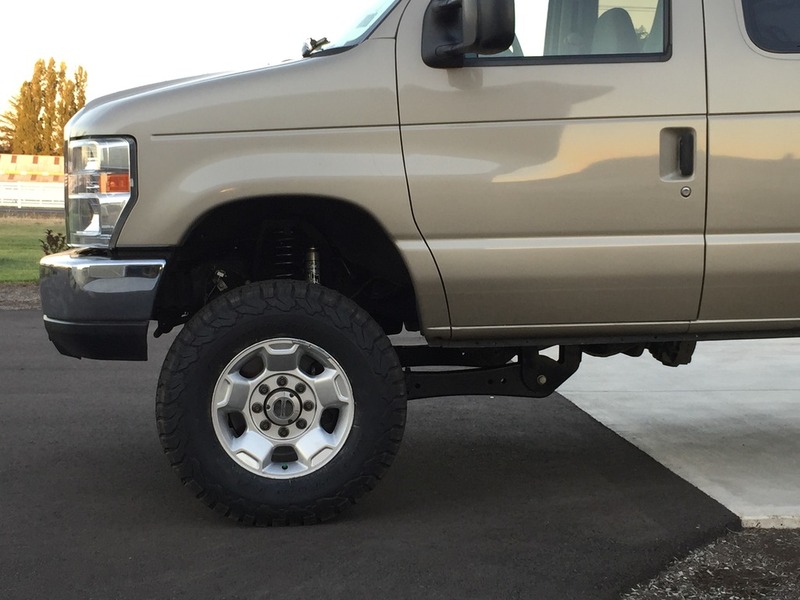 As I get nearer to finishing up all the details of my front axle conversion for the E-series, I thought it was about time to start a thread to explain what I’ve done, what I’ll be offering and how (easily) a DIY’er can put a newer Super Duty axle in their (’92-’14) E-series vans. First, a little background… I purchased a new ’13 E350 with a Quadvan conversion back in January of ’13. At the time, it met my needs and I was happy. After a year or so with it though, I was growing tired of how the van looked and how it handled. 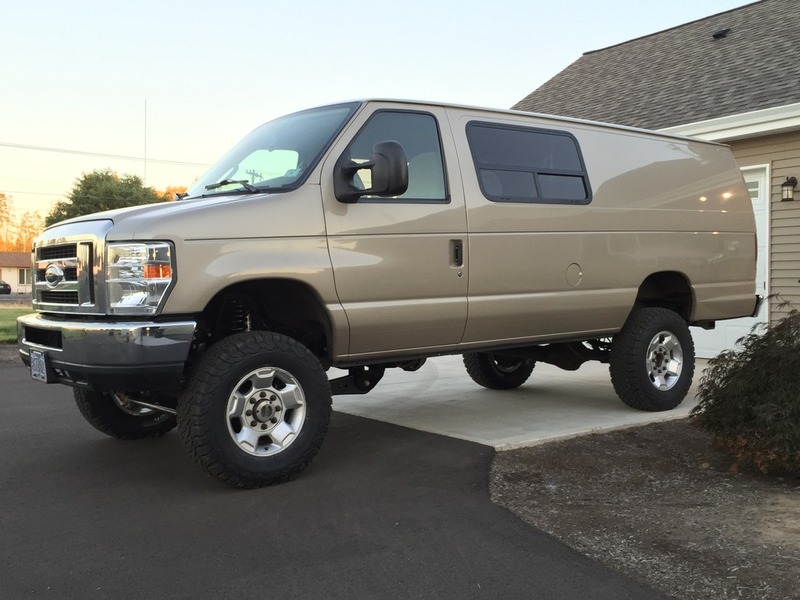 I’ll say that I believe Quadvan has a solid design and it is a great conversion for those who just need a 4x4 van (like fleet vehicles or government entities, light duty off-roaders, etc…). The design doesn’t lend itself well to more lift and larger tires (larger than 33”) though. Not without significant trimming to the fender. The van also wandered like crazy, had lazy steering, wouldn’t return to center around corners very well and it required a lot of effort to drive it straight down the road. So about mid-way through year 2 with my van I started thinking about better handling, more lift, larger tires and the easiest way to do that. I quickly realized that the geometry of the Quadvan design wasn’t going to be optimal if I lifted the van more. I was already at a very low 1.5 degrees of caster and I wanted to get more like 4.5-5.5 degrees. 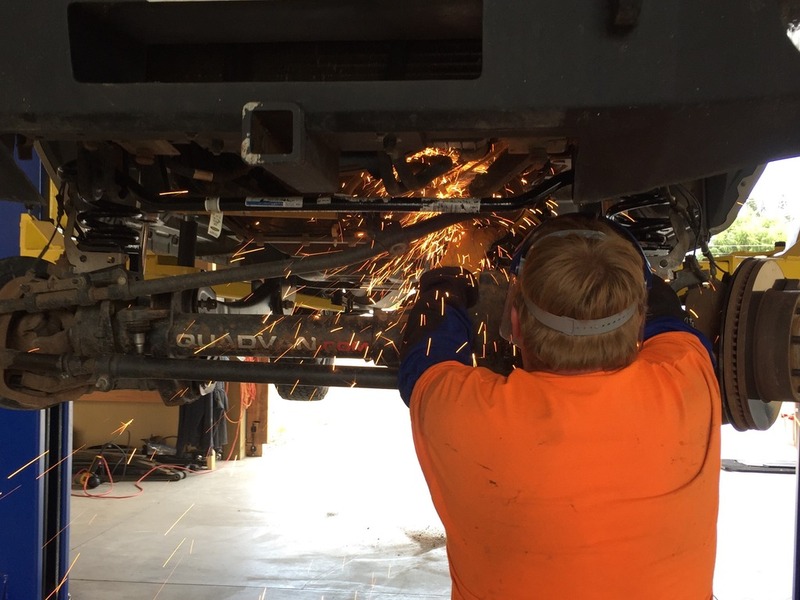 I also wanted the axle farther forward so I could get more tire clearance without trimming. Both of these ruled out using the same Quadvan parts (radius arm mounts and trac bar mount) because moving the axle forward and the radius arm mounting points down (to make the arms more parallel) would have required significant modifications. Enough that I might as well start over with a fresh new design. So that’s what I did…I got the CAD files for the E-series frame and the Dana 60 axle from 2005+ F-series Super Duty’s and I started on my own design. A few details aside, these parts allowed me to achieve my goals of 35” tires with clearance, great road manners, more lift and a stance that I like (I think others will like this stance too). I put these parts on my van just before the Cummins tear down and put about 1000 miles on the van. It handles awesome, the ride is great and I love the stance. The biggest thing was that it was easy to do. Right around the beginning of my development, a couple folks got word that I was working on this style of conversion and they contacted me about providing a “kit” for them to convert their vans. I told them that if it worked great on my van, I’d put together a kit for others. The first recipient of these parts is helping me work through some of the development of the kit but so far he’s very happy with the result despite a few trips to my shop to trouble shoot things like the ABS (which we got sorted out today). None of it requires special tools. In fact, I purchased tools from Home Depot and Harbor Freight to do the install and spent maybe $150 for everything I needed. Aside from my custom parts, the rest of the kit includes off the shelf parts from Moog and Ford. Springs are readily available from Moog and the Fox shocks are a common off the shelf part number. It really is as simple as simple can be. There may be more parts added to the kit as time goes on. 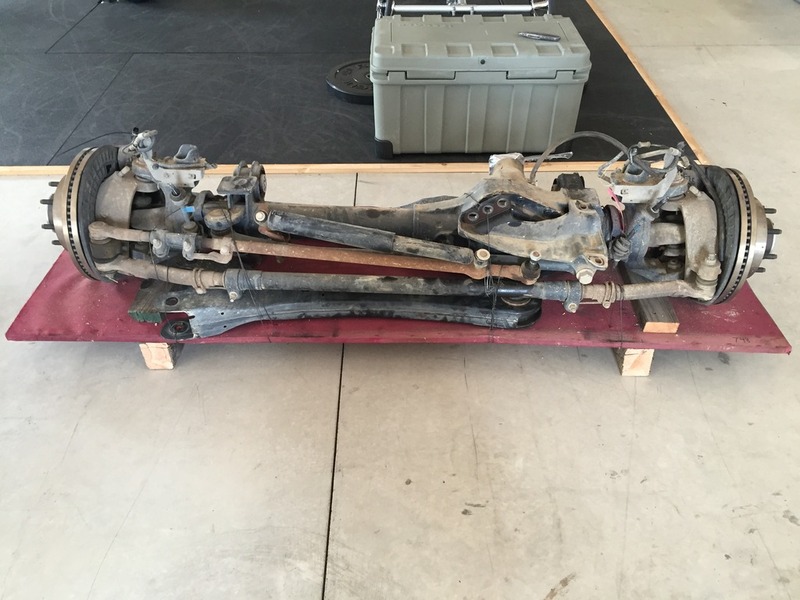 The 2005+ Super Duty axles are plentiful in the wrecking yards so a lot of good deals can be found locally or through www.car-part.com. It is not unrealistic to find a low miles axle for under $2500. I know of two instances of guys finding axles with under 20k miles for under $2000. Jsweezy got a good deal on his axle. 65,000 miles, brand new brakes and complete with radius arms and steering parts. Well under $2k shipped to his door. If you get an axle newer than 2012, you’ll get 14.29” rotors as the standard. For that reason alone, I only look for 2013+ axles if I’m looking for low-miles candidates. What about the cost? 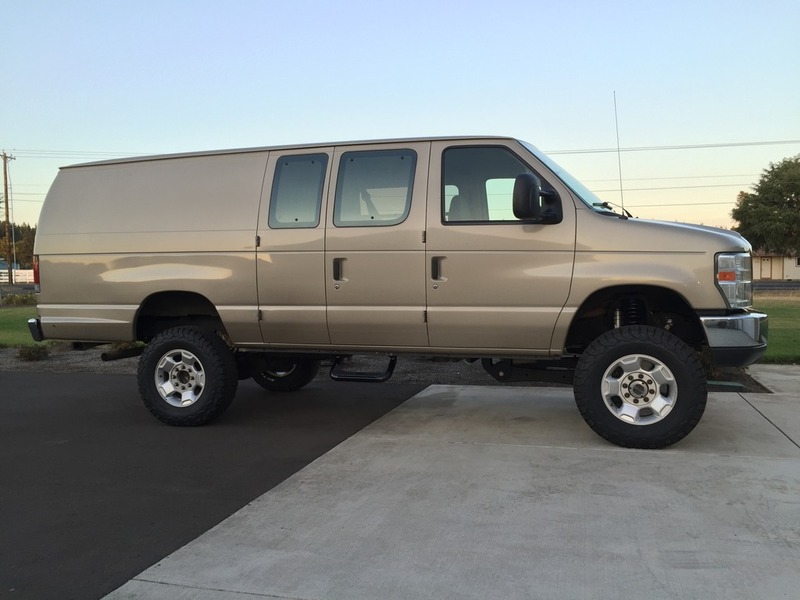 I'll have the exact pricing for my parts soon but I can say that it is entirely possible to convert a van to 4x4 with these parts for around $10k. I think it's possible to be well under $10k if you're patient finding parts and doing everything yourself. More details to follow. 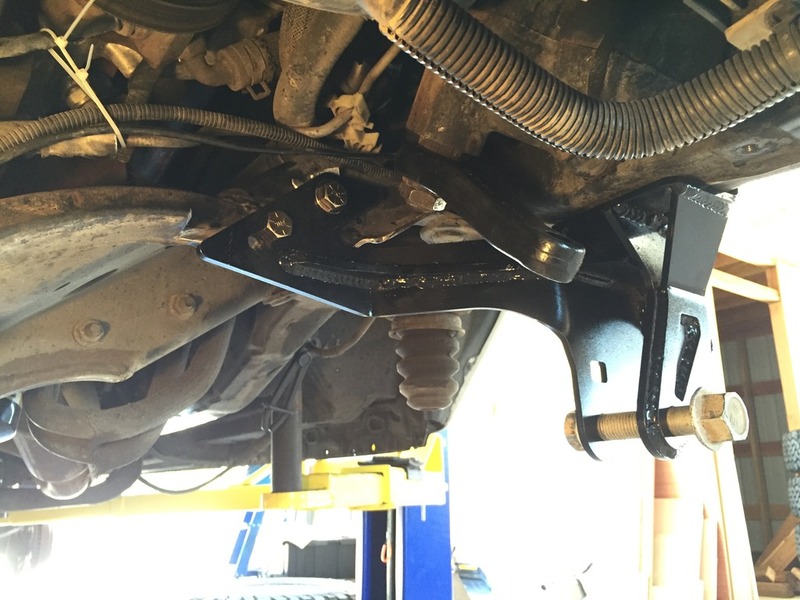 I thought I'd start this thread to answer questions about the radius arm/coil spring suspension design and the process for installation in a van. I'm making a batch of "kits" now with availability to purchase by late Aug/early Sept. PM me if interested. Have you thought about a kit for those of us who already have a Quadvan conversion? That could be done. 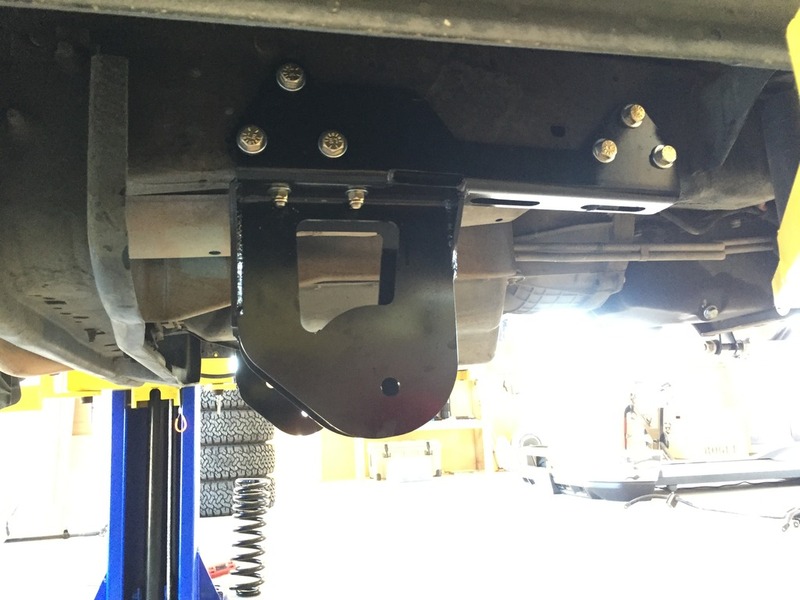 Aside from some different holes to drill, I'd probably only have to come up with one additional bracket for the trac bar mount to tie into the Quadvan bracing of the cross member. Not difficult at all really. Amazing. So clean and well done. To say that is impressive would be an understatement. I so enjoy seeing your work! I'd like to add that I've put almost 2k miles on my van since putting this kit on and it's been amazing. I don't even feel like I'm driving a big van anymore and with the brakes that come with the 2013+ axle, I feel very confident in my stopping ability. I never thought I would enjoy driving my van as much as I do and wouldn't hesitate to drive this thing cross country tomorrow. I also want to reiterate that installing this kit was extremely simple. If you can drill holes and tighten bolts you won't have any issues. Yep, still have parts and can make many more easily. pm me your email and I'll get you some more details. Hey MG, I don't know if my pm'so ever got through. I couldn't find any where to see my sent pm'so. Let me know if you got them. Glad to see that you are ready for production. Hope all goes well.